The handle is protected by a layer of chrome. Galvanisation of the brass handle gives it a protective metal coat of nickel-chromium to guard against wear and corrosion. The bluish-silver colour and perfect shine make this finish particularly suitable for elegant settings. The finish has a 10-year guarantee. 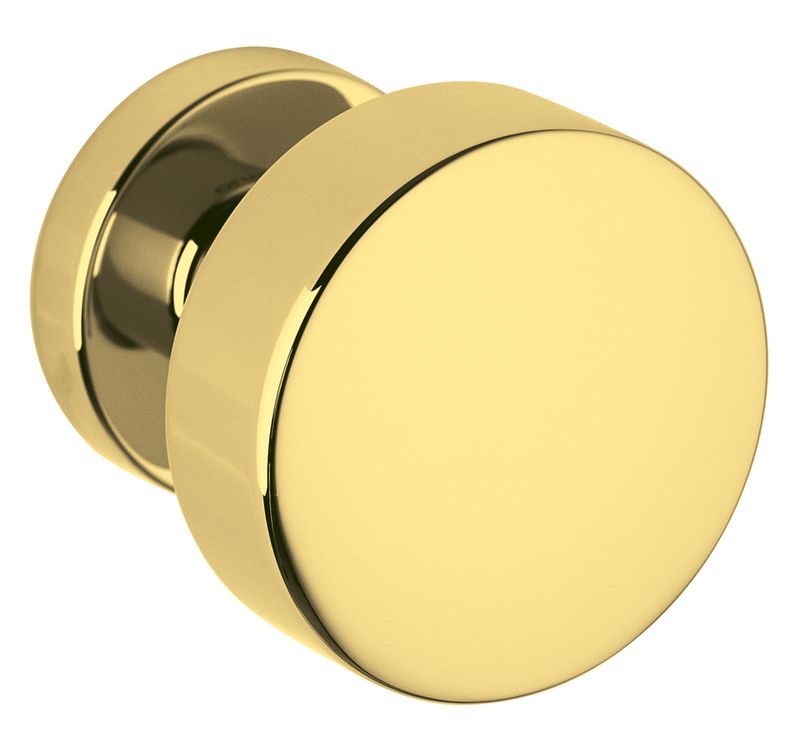 The satin finish lends the handle a pleasant tactile quality. The chromed reflections carry a formal connotation suggesting use in modern settings. With physical vapour deposition, a polished or satin-finish chrome handle is coated with an ulterior layer of metal (superfinishing) under high vacuum. Vacuum metallisation is extremely hard and durable. Nanocomposites of metal determine the specific colour of the surface and protect it from wear, scratches and aggressive substances such as humidity, sweat, salt spray, temperature swings and ultraviolet rays. The colour is that of stainless steel, but the surface hardness obtained with the PVD process is much superior. Its elevated toughness makes this a high-tech finish particularly suited to use on doors in high-traffic locations. The finish has a 30-year guarantee. This is a dark grey with metallic reflections, making for a very modern and exclusive finish. Its hardness is superior to chrome, and its aesthetics are suited to high-tech settings. This shiny finish has the warm, elegant colour of nickel plus the advantages of remaining unaltered over time and not causing allergic reactions. Suitable for comfortable and sophisticated settings. The satin finish offers full expression to the refined colour of nickel. It exalts and makes more precious the shapes of the handle to which it is applied. Here is a practically eternal finish, for its pleasing looks as well as its durability. While the tonality is the prestigious one of rich gold, the qualities of endurance and toughness are the very elevated ones of Olivari Superfinishes. 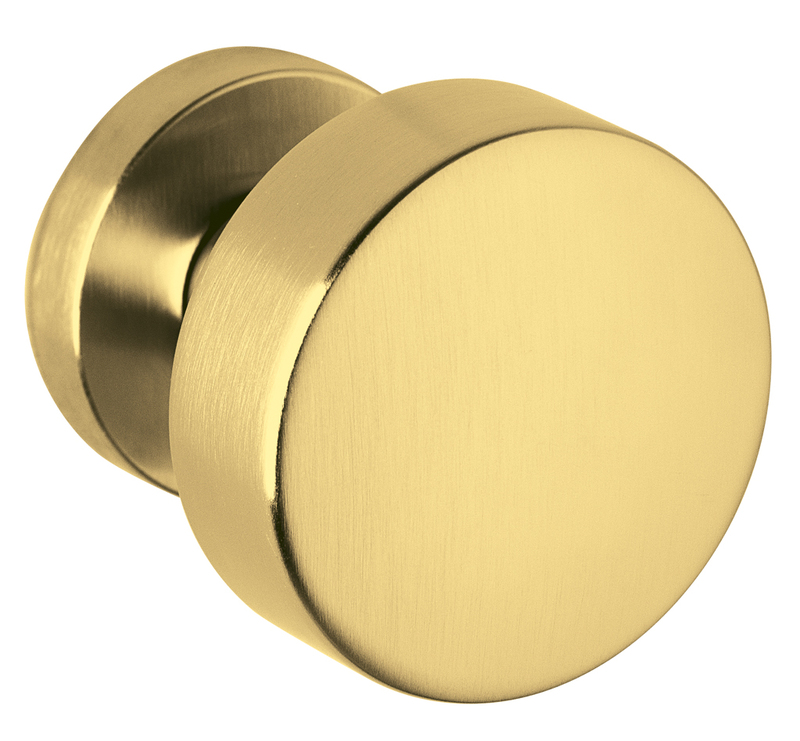 This combination between the classical softness of satin brass and the modernity of the superfinish makes for durability and constancy of colour over time. This innovative and expressive superfinish represents a taste for strength, character and openness to the new. Suited for refined and sophisticated settings. Slight chromatic tolerances are to be considered normal. This new colour of superfinish is innovative yet timeless. The allure of the past and the memory of its beauty are united with faith in the new and its projection into the future.